Kaleido Star Wallpaper: Fun Times!!! 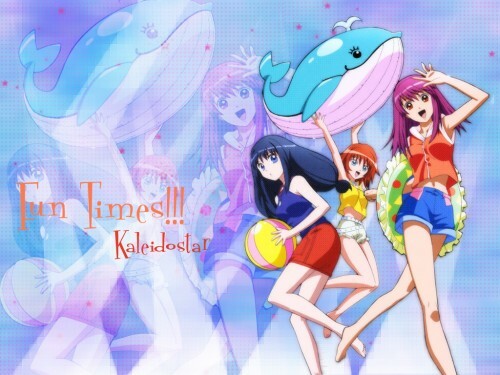 Minitokyo »	Kaleido Star Wallpapers » Kaleido Star Wallpaper: Fun Times!!! This is a wallpapper I just made. You can see a Image of Kaleidostar. I cleaned the image and did the brackground with the colors of the little whale that Rossetta has in her hands! PD: Sorry for my english! Browse Kaleido Star Gallery: Recent | Popular. Kawaii~nya. Beeeeeeeeeeeeeeeeeach time. Sun and Sora, Ocean and Rosetta, Sand and Mya. Great wallpaper! They look really cute with the whale! Awsome job!